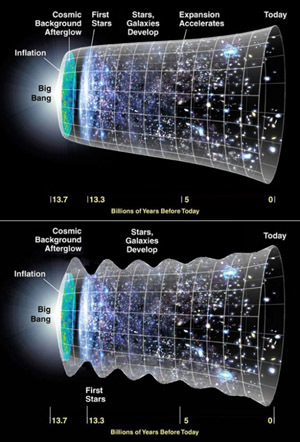 Seven Waves of Inflation have Rocked our Universe. This is huge, pardon the pun, and very much under-reported. We have supplanted the idea that there was a sudden, huge inflation when the universe was born and then a flat, smooth curve with a slight increase in inflation rate recently. The diminishing waves of inflation suggest that one big event probably triggered them, with the forces of the universe seeking equilibrium thereafter. Perhaps our universe collided with another baby universe. Maybe it is still recovering from the force required for expulsion from a singularity. My bet is we have the answer soon. Why doesn’t evolution eliminate mental illness? I was reminded by a couple recent articles that mental illness, specifically psychosis and depression, must have significant survival value, or surely evolution would have rooted it out long ago. After all, these conditions often lead to risky behavior or suicide. Where’s the value in that? The value is to the species, not to the individual. Male black widow spiders suffer from evolution’s ruthless disregard for the species at the expense of the individual, as do those who suffer from sickle cell anemia. which reminds us that psychosis, or “thinking outside the box”, has both good and bad sides. which highlights the (to me) more surprising association of depression with successful entrepreneurship. One mechanism that could explain this association is that depression results from or in an increased sensitivity to the needs of others, which entrepreneurs then proceed to do something about. Paradox exists at the boundary of knowledge where truth collides with truth. I became fascinated by the nature of paradox when writing a short story about Fermi’s Paradox, which received an Honorable Mention in the 2012 L. Ron Hubbard Writers of the Future contest and has since been published under the title By the Numbers. We may call a conflict between accepted scientific theory and fact a paradox. Usually the theory is wrong, or the observation is in error. This type of paradox is the engine that moves science forward, since it keeps challenging us to reexamine our accepted theories. We sometimes describe a conflict in personal or social characteristics as a paradox. It is the nature of people to have multiple values and emotional responses at the same time, hence this type of paradox is very common. However, the interplay of conflicting responses to a situation is often interesting and instructive about human nature. “He wanted to be near her, but paradoxically kept pushing her away.” Presumably, he had a conflicting desire, such as wanting to avoid commitments.